In this hectic smartphone age, I sometimes find myself feeling nostalgic for a simpler time. I daydream of unplugging my devices and escaping to a place that’s warm and has the vintage glamour of old Hollywood. Is there such a place? Havana, Cuba is as close as I’ve got to experiencing my mid-century reveries. Fidel Castro’s communist government assumed power in the Caribbean country in 1959, leading to trade isolation from the U.S. and other nations. As a result, time appears to have stood still in this friendly nation, where hot rods still rule the cobblestone roads. 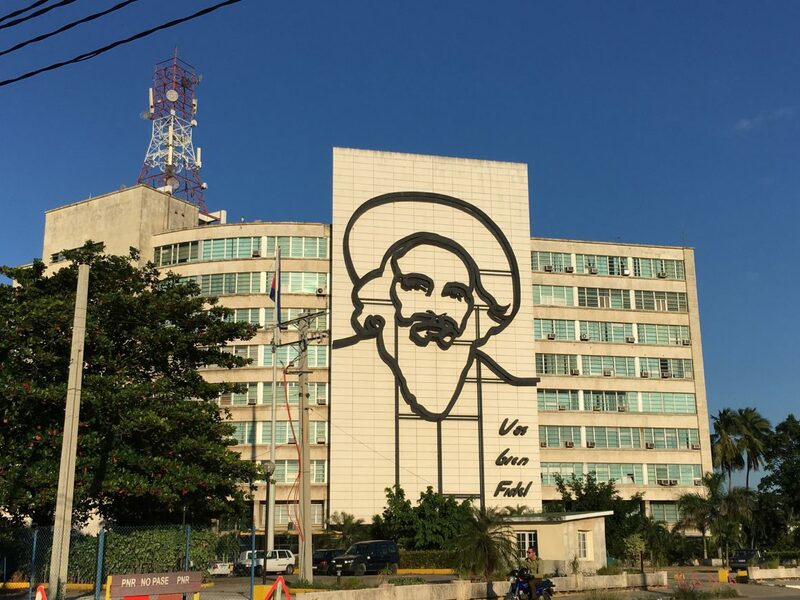 A steel outline of Camilo Cienfuegos, one of the four leaders of the Cuban Revolution, towers over Plaza de la Revolución. His words “Vas bien, Fidel” became a slogan of the people. 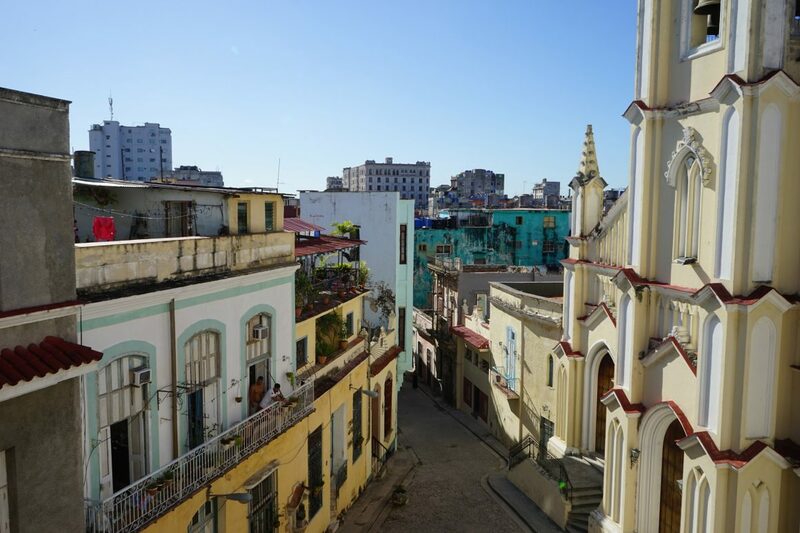 Cuba is an excellent cold-weather getaway for Canadians, as flights are quick and inexpensive, especially from the eastern part of the country. During the winter, temperatures in Havana range from 18 to 27 degrees Celsius: perfect for sitting outdoors at a café with a mojito. Unlike American travellers, who still face complex entry regulations, Canadians merely have to fill out a “visa on arrival” and pay $20 USD to get in. Tourists tend to book vacation packages for all-inclusive resorts in Varadero, Cayo Coco and Holguin. 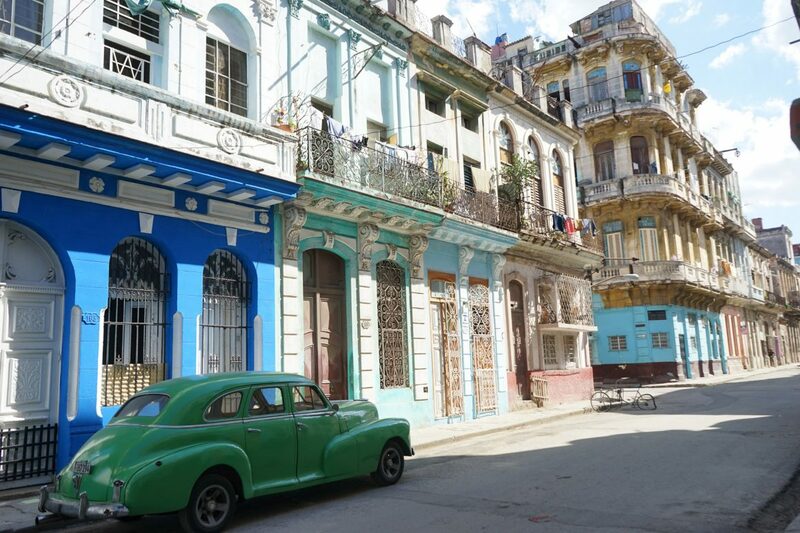 However, if you adore culture and romance, I recommend you spend your time in Havana. 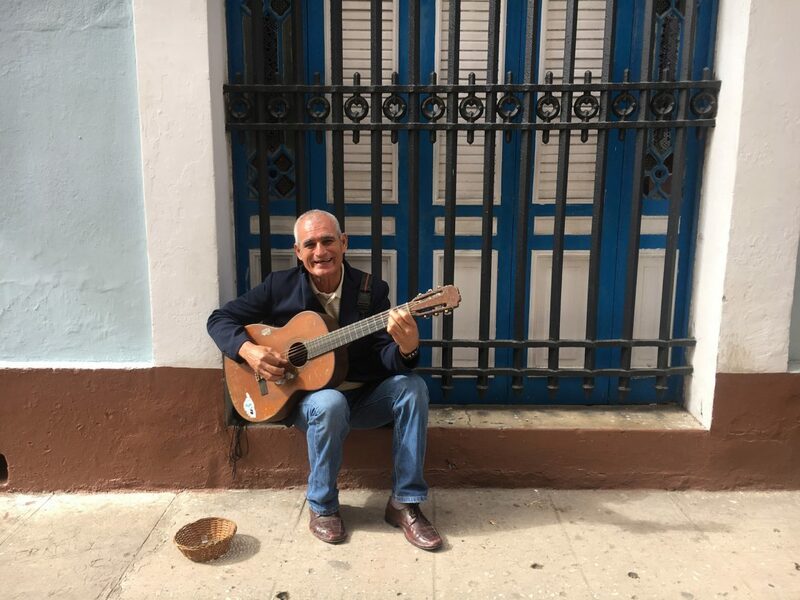 Cuba’s rich history is especially vivid in the capital city, which is characterized by pastel-coloured colonial architecture and smiling street musicians. 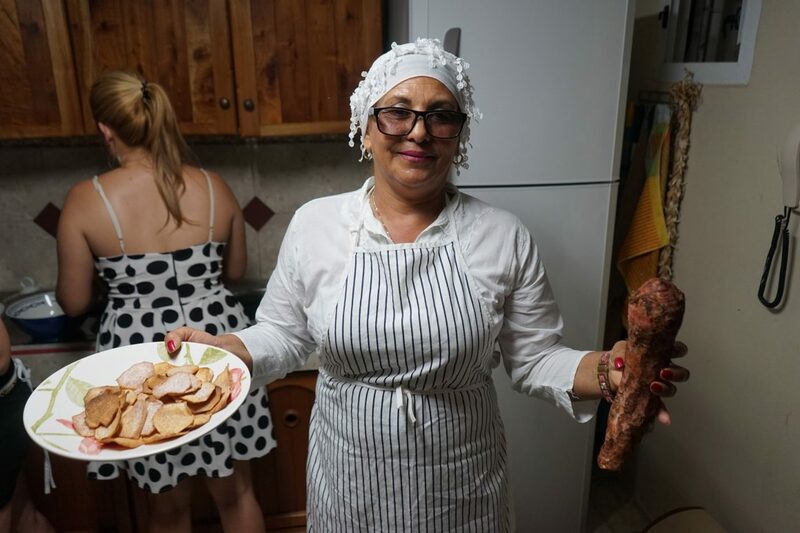 Staying in a casa particular lets you experience the daily life of a Cuban family. Prado Colonial’s rooms are filled with portraits and heirlooms passed down through generations. I encourage you to stay in a casa particular to get immersed in local life. 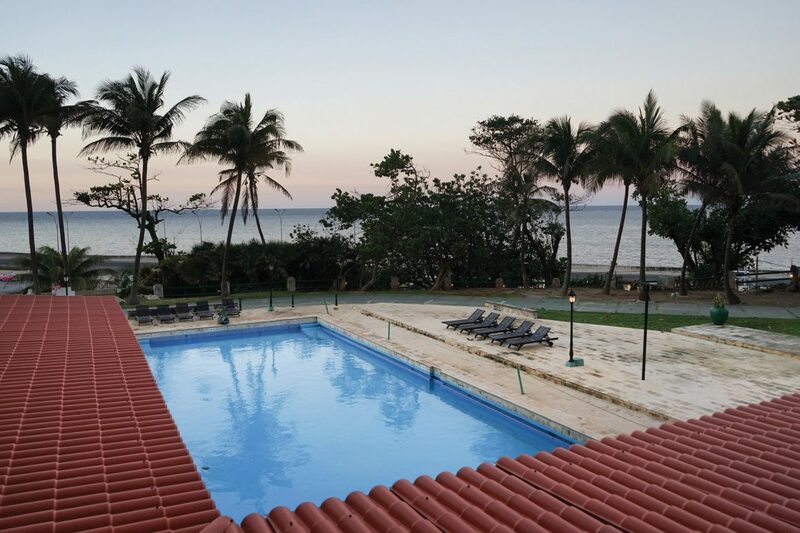 In communist Cuba, all hotels are at least partially owned by the government. However, since 1997, the state has permitted citizens to rent out rooms in their homes. 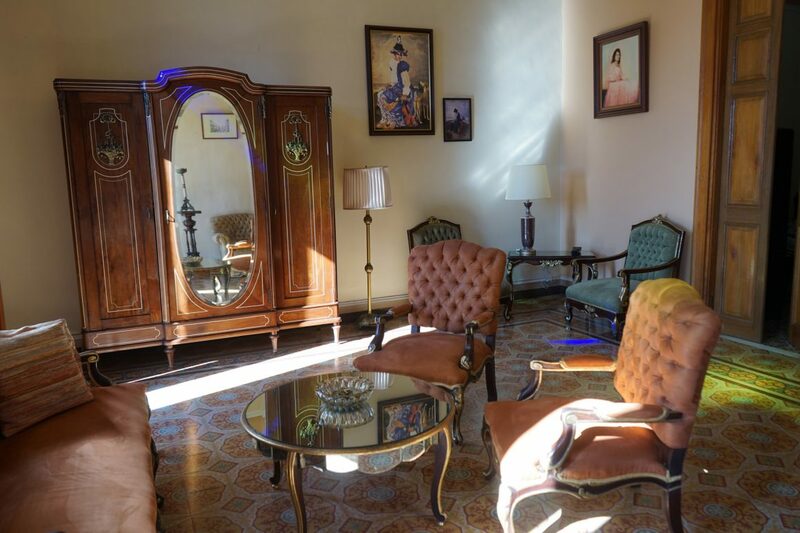 Staying in one of these cozy casas particulares lets travellers support Cubans, and learn first-hand about their culture. 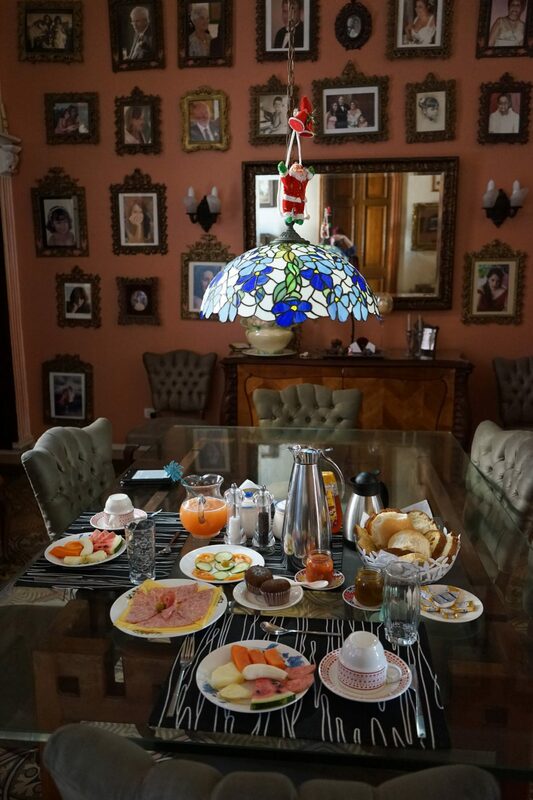 I booked a private air-conditioned room with bathroom at Prado Colonial, a group of three bed-and-breakfasts run by a family. The common areas are a retro lover’s dream: stained glass windows, neoclassical floors, and a balcony view of an 18th century cathedral. I enjoyed getting to know the hosts over strong coffee and breakfast each morning. The Internet isn’t readily available in Havana unless you purchase a WiFi card, so I took this opportunity to get offline. 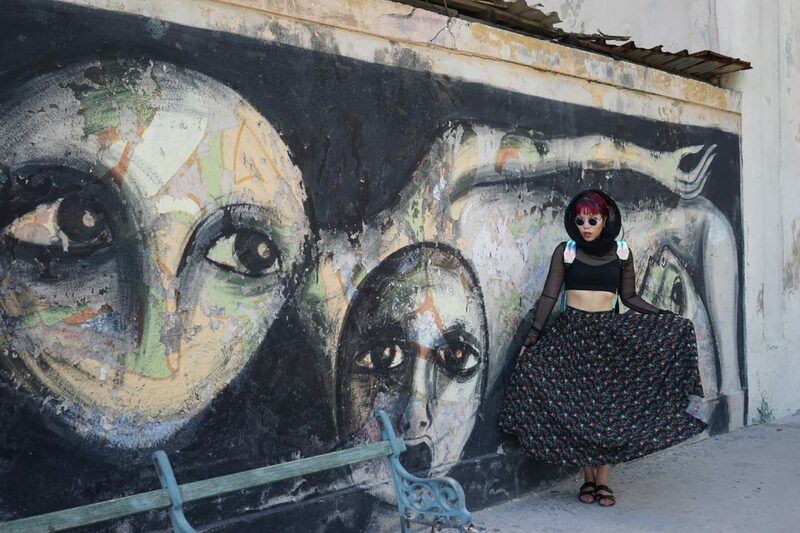 Every day, I spent hours wandering Old Havana and taking in the eclectic sights. 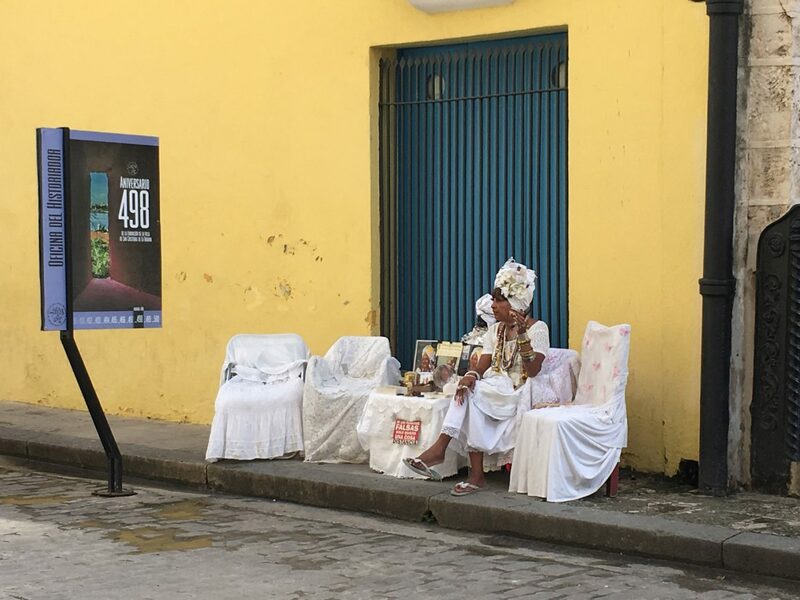 I saw elderly locals hanging out on doorsteps with cigars in hand, and a parade of stilt-walkers flanked by fortune tellers in headwraps. 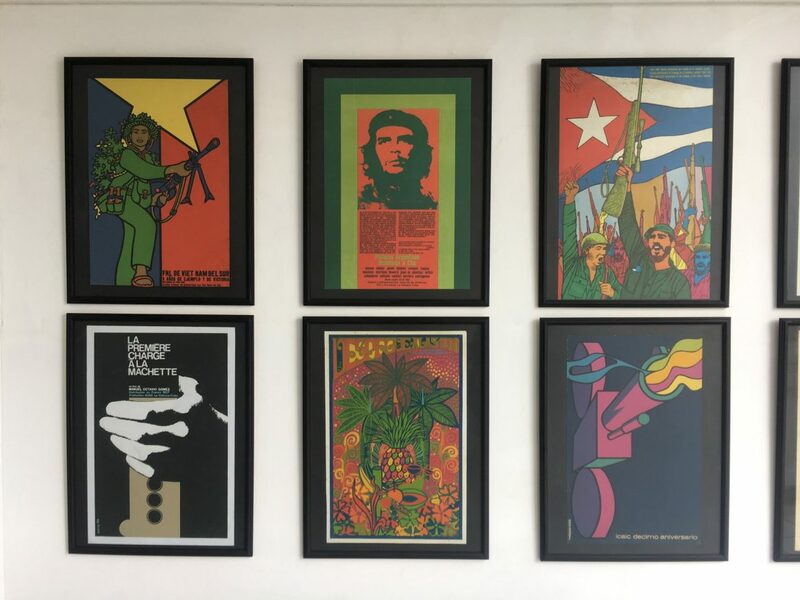 I browsed art galleries and flea markets, where I found revolutionary posters and rumba records. 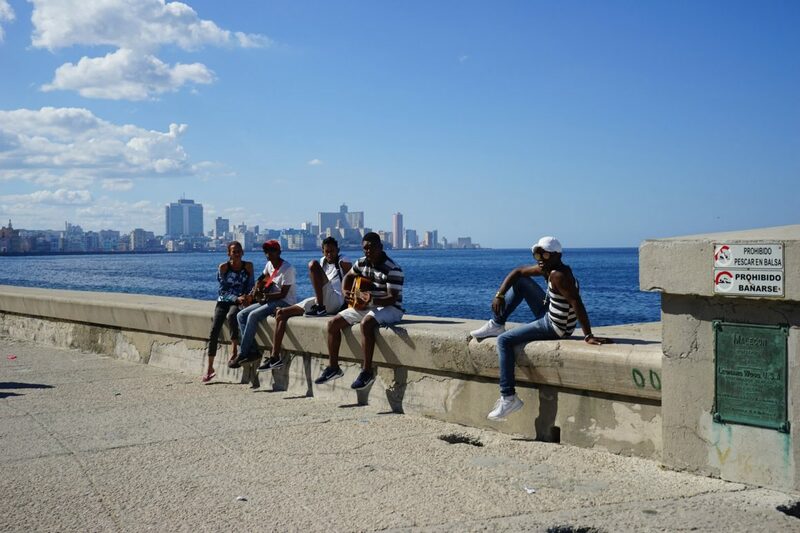 Perhaps my favourite stroll was along the Malecón, Havana’s iconic seawall, which stretches for eight kilometres along the waterfront. 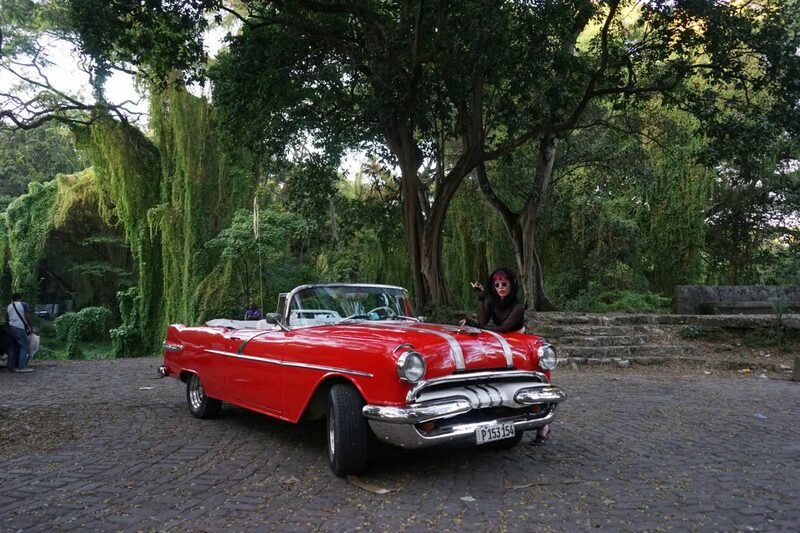 I loved photographing the slick, vintage automobiles that are a Havana signature. Cubans have been unable to import cars from the U.S. since the 1959 sanctions. As a result, most of the cars on the road are Fords, Buicks and Cadillacs from the James Dean era – and they’re a joy to ride in. 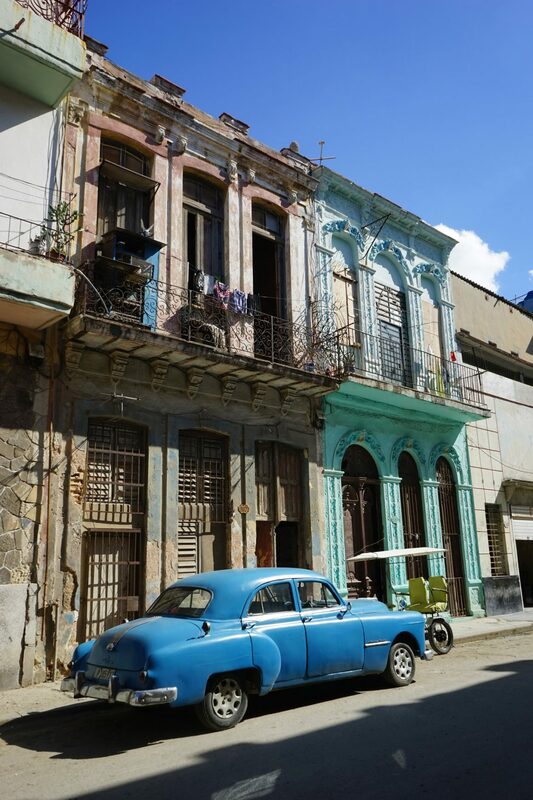 Cheerful locals, brightly painted homes, classic cars, and the glittering water by the Malecón: that’s the laid-back spirit of Old Havana. You can rent one of these antique taxis, or book a classic car tour as I did. My guide drove me from Old Havana to Miramar in a cherry-red convertible, pointing out such historic sites as the sprawling Colon Cemetery. We cruised through modern Vedado and stopped in Havana Forest, where I was surprised to find an urban grove by the river. The final drive was my favourite: speeding along the Malecón as the sun set over the ocean, with music blasting and wind blowing through my hair. Feel the grandeur of Cuba’s past at the Hotel Nacional de Cuba. In the 1930s, this palatial hotel was the favourite hangout of American gangsters and silver screen stars. Cuba’s political history is unlike that of any of its Caribbean neighbours. I visited the Museum of the Revolution to learn about the communist takeover from a Cuban perspective. The artefacts on display included rare black-and-white photos, and Fidel Castro’s military tank. I also visited the impressive Revolution Square, which honours the four leaders (Fidel and Raul Castro, Camilo Cienfuegos, and Che Guevara). In colonial times, Africans taken to Cuba were forbidden from practicing their tribal faiths. However, they secretly worshipped their gods by associating them with Catholic saints, resulting in Santeria. 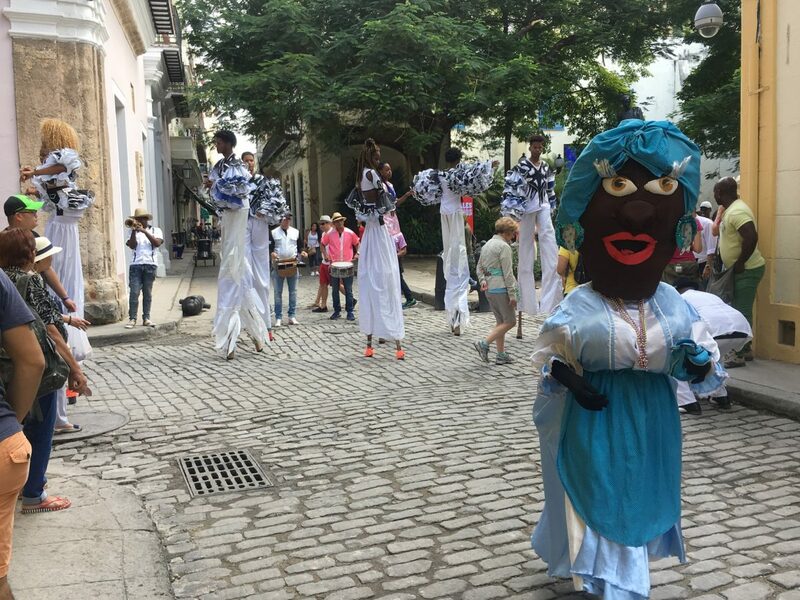 Many locals practice an Afro-Cuban religion known as Santeria. I joined an Urban Adventures tour to learn about their rituals. 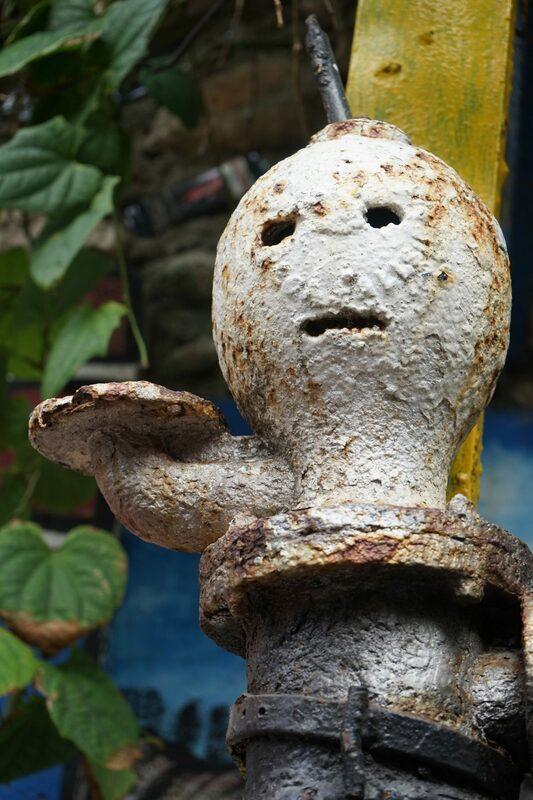 The day began at Callejón de Hamel, a community space covered in scrap-object sculptures and paintings. The artist, Salvador Gonzáles Escalona, started this project in 1990 to create a welcoming place for practitioners. 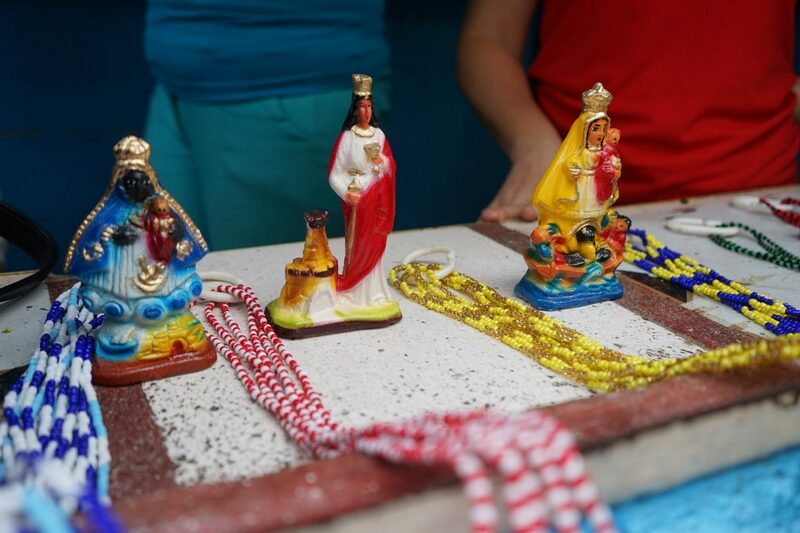 I learned that Santeria originated in the indigenous spirituality of West Africa, and became syncretised with Roman Catholicism during colonial times. I met Salvador, a babalawo or priest, who has an important role as a spiritual adviser. 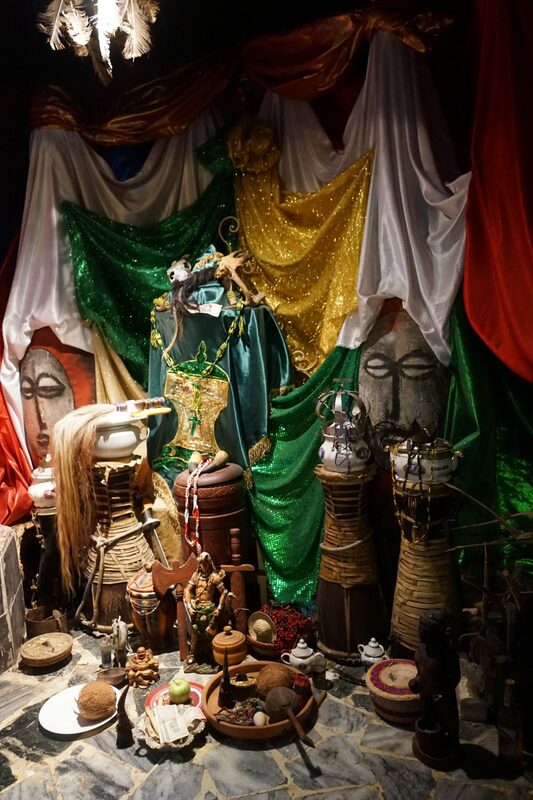 Then I entered his home, where I saw his family’s personal shrines to the orishas or gods, surrounded by offerings. 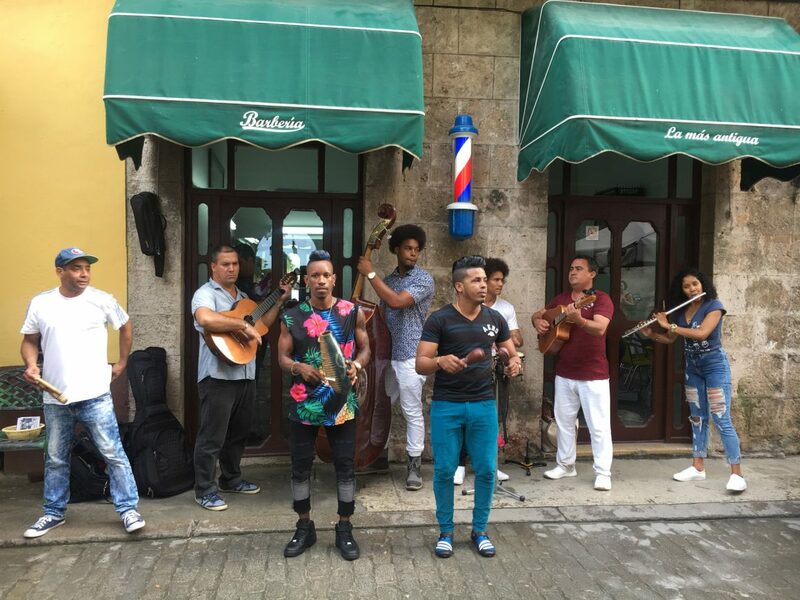 Old Havana is brimming with live musical performers: from a marching band in a festival, to a guitarist strumming on a doorstep, to an outdoor bar with an Afro-Cuban jazz troupe. 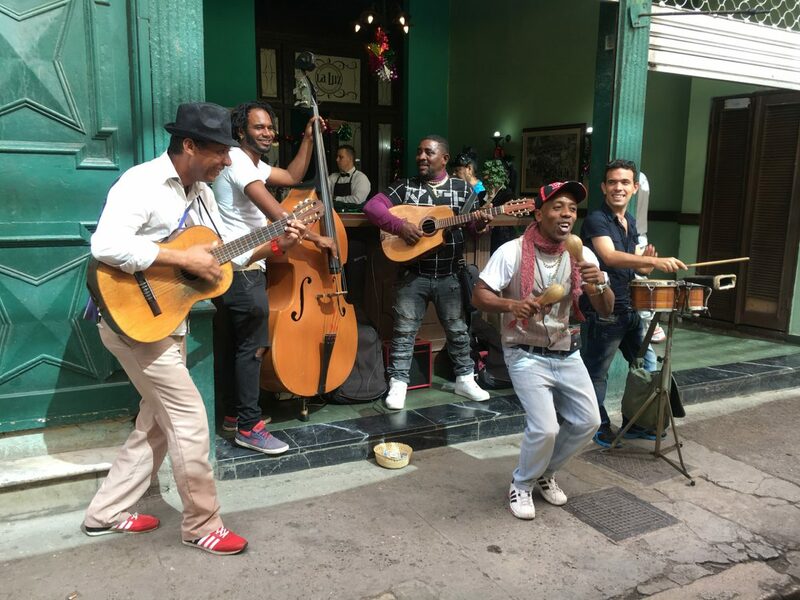 Music lies at the heart of Cuban culture, and the sounds of jazz, salsa and rhumba pulse through the streets of Old Havana. No matter where you wander, you’ll encounter live bands with remarkable talent and energy. 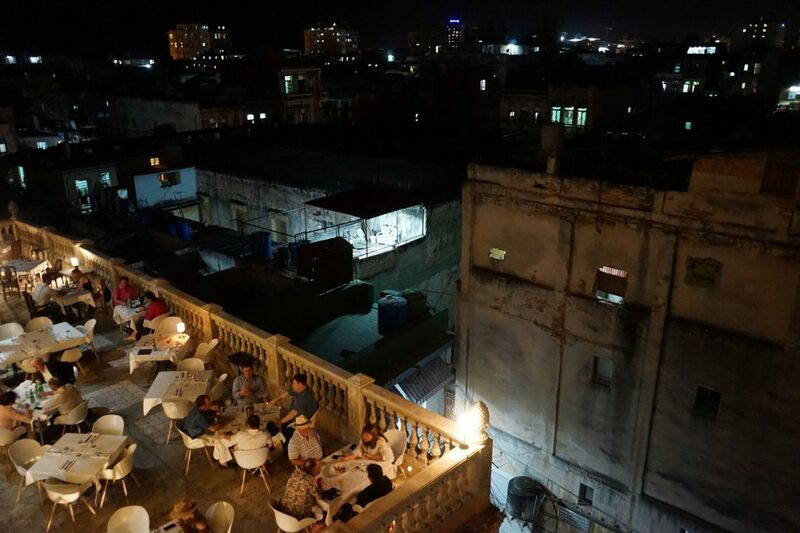 At night, take a taxi to Fabrica de Arte Cubano, a former warehouse that has become the hippest venue for performers. 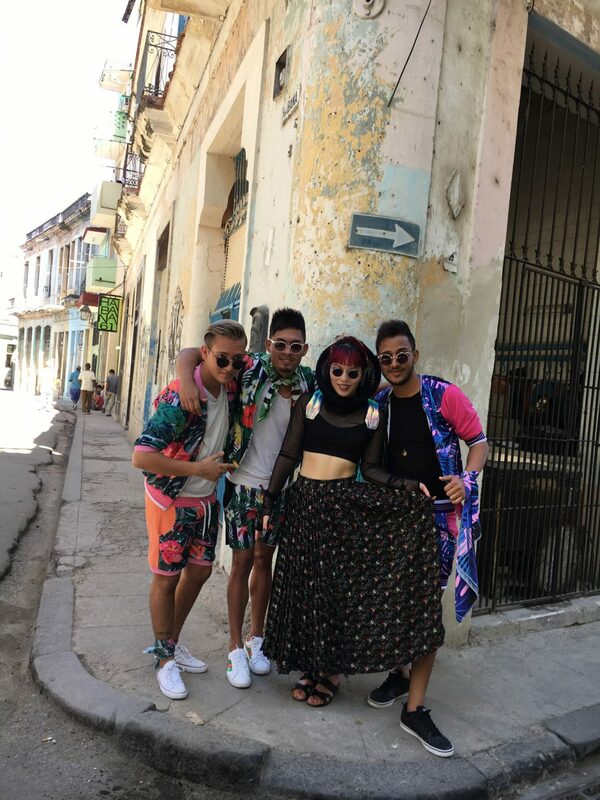 Take in the contemporary art exhibitions, and then dance the night away to everything from traditional call-and-response music to pounding reggaeton. Cuba’s famous slow-cooked beef stew, flavoured with rich spices and vegetables, is a must-try. 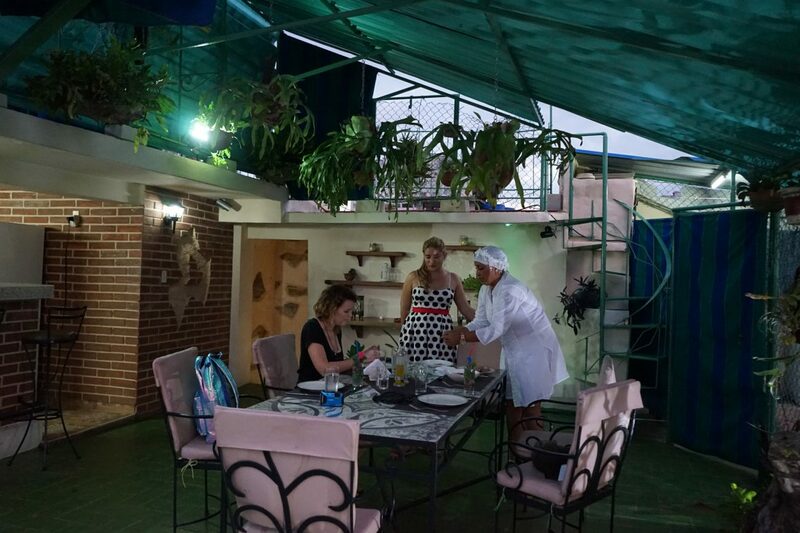 The ladies shared their family recipes in a cooking lesson, followed by dinner on the rooftop. Cuba has a reputation for serving bland food. To my delight, I found this to be untrue. 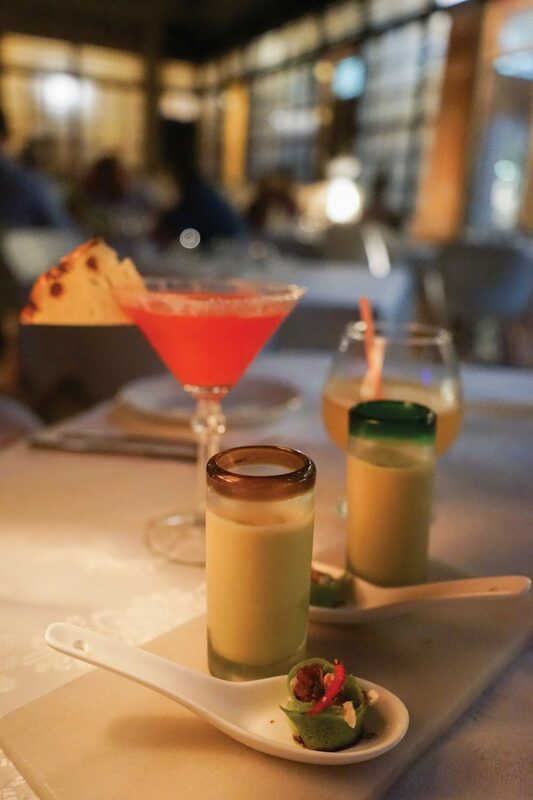 I dined on flavourful tapas and mojitos all over the city. At my casa, I took a cooking lesson to learn more about local cuisine. 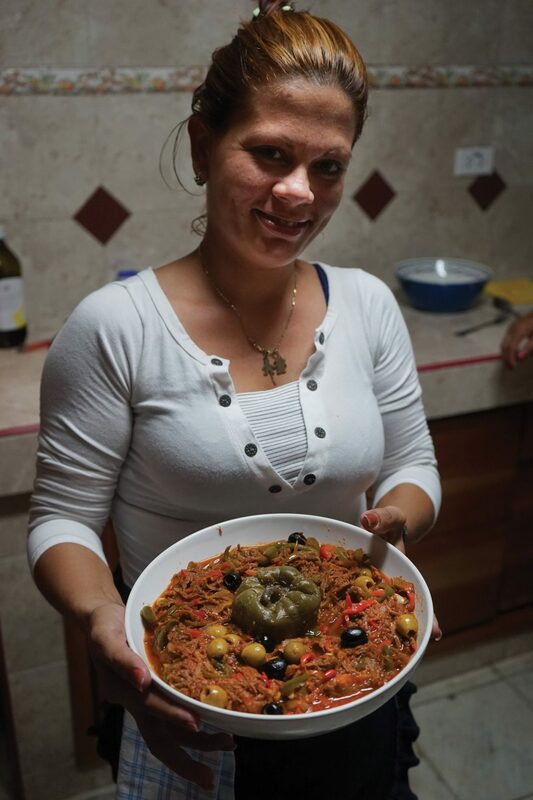 My host showed me how to make ropas viejas, or shredded beef and seasoned vegetables. 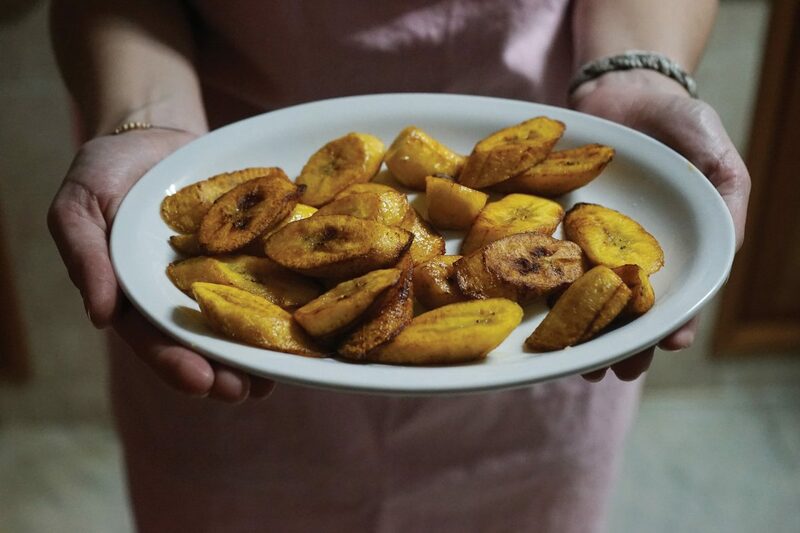 We also prepared taro chips, rice and beans, and fried green and yellow bananas: a spectacular home-style feast. 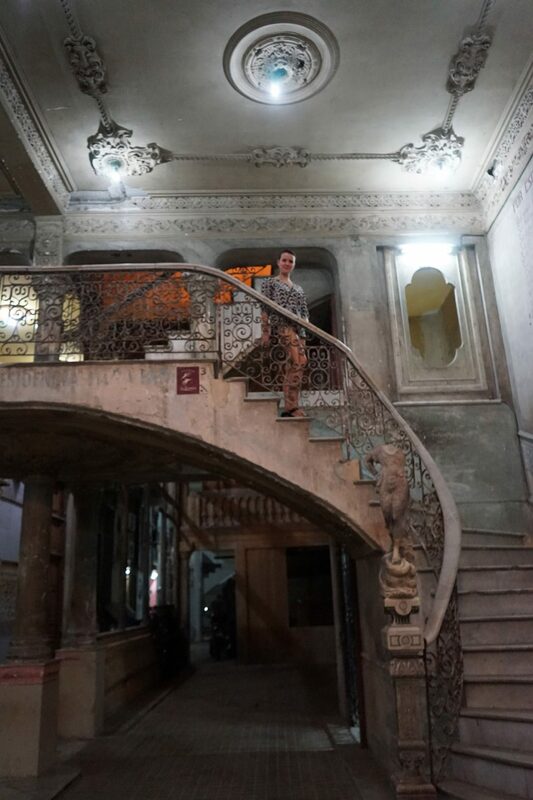 Hidden in an unassuming row of buildings, Restaurant La Guarida surprises visitors with a majestic marble staircase and chandeliers. 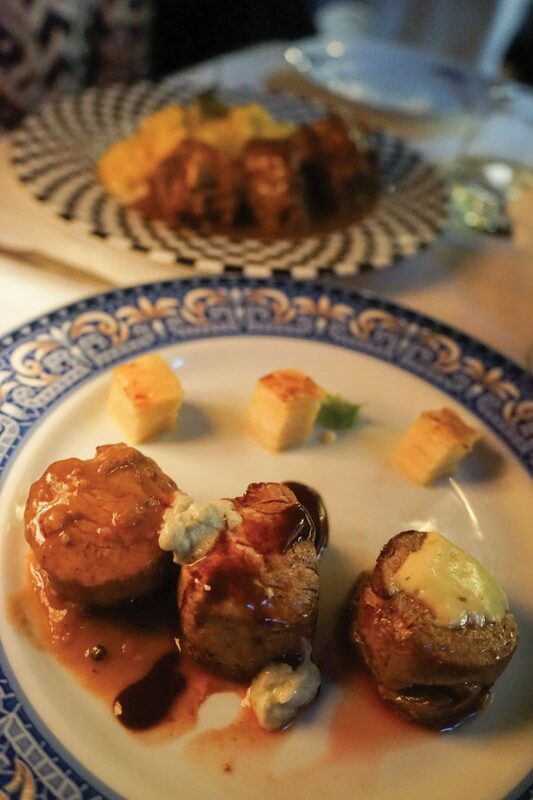 The creative “New Cuban” menu is consistently named one of the best in Havana. On my last night, I ate at La Guarida, a restaurant set in a palatial home. This paladar, or local-run eatery, is famous for being featured in a ground-breaking Cuban LGBT film, “Strawberry and Chocolate.” Surrounded by elegant sculptures, I enjoyed smoked-marlin tacos, and delicate snapper ceviche – followed by braised beef cheek, and filet mignon, served three ways. Getting There: Several Canadian airlines fly to Havana from Montreal and Toronto. Flying time from Toronto is 3.5 hours; flying time from Montreal is 4.25 hours. 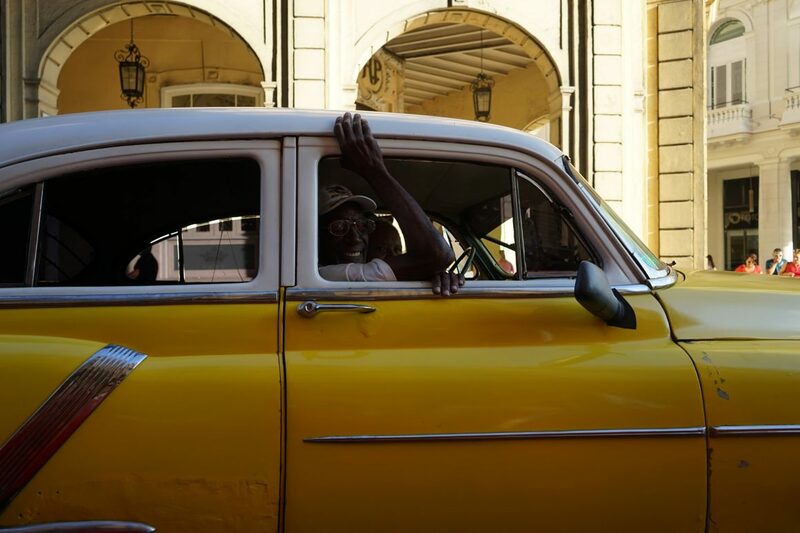 Ground Travel: Most visitors travel by taxi around Havana, as there are no ride-sharing apps such as Uber. Research rates from the airport to your accommodations in advance, and be prepared to bargain. You can also ask your hotel to call taxis for you, and negotiate a flat fee. Public transport is the best bet for certain destinations, such as the T3 bus from downtown Havana to Playas del Este beach for $4 CDN. Accommodation: For a culturally immersive stay, book a casa particular, or family-run bed and breakfast. 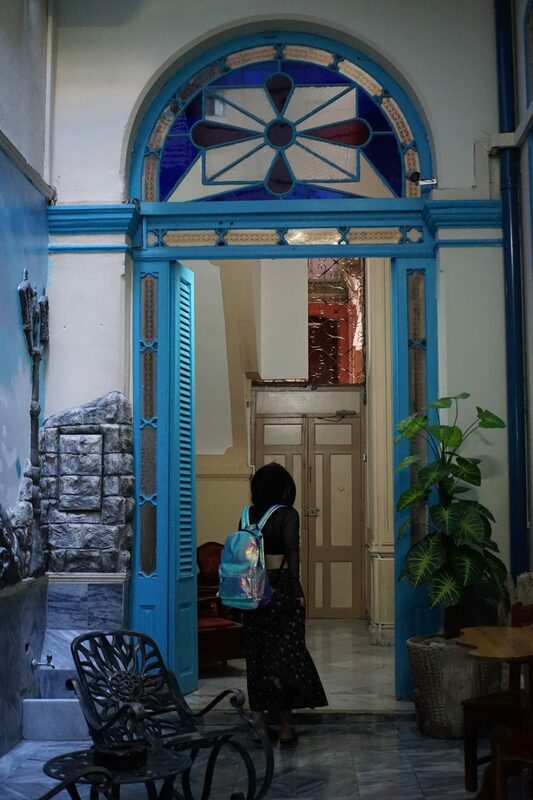 In Old Havana, these rooms generally cost between $30 and $50 CDN, with either shared or private bathrooms. A more luxurious casa such as Prado Colonial costs $100 CDN per night.